Your baby’s first Halloween costume isn’t for the child at all – it’s for Mom and Dad. You’re excited and you want your son or daughter to look precious all dressed up. 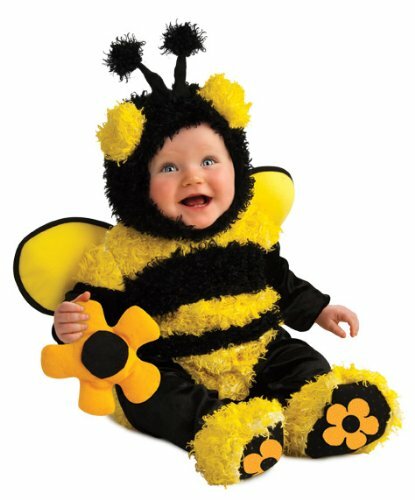 There are some really cute newborn Halloween costumes, but even more choices if your child is 6 months or older. Many of the first costumes for babies will be in the form of bunting or “snuggle sacks” as some people call them. 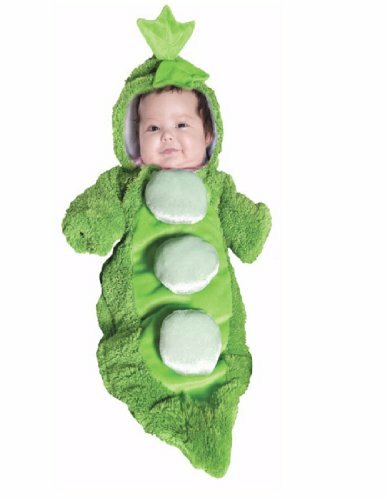 A classic one you can find is a pea pod costume. It’s your baby, snuggled up inside the pod, with three little peas on his or her tummy and a little baby hat that looks like the pea stem. For boy babies, you might want to go the Superhero route. There’s a really cute Superman bunting costume for baby that has a big S on the chest and a red cape on the back in case he has to fly off in an emergency. If your baby is a girl, then you can dress your princess up as a little mermaid. 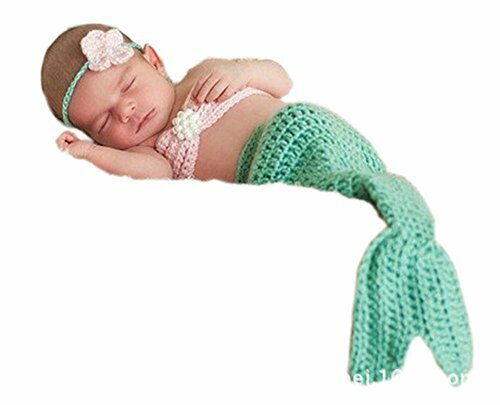 The mermaid tail is the perfect baby bunting. The tail is a beautiful sea green, the top is a pretty pink, and there’s a headpiece that looks like a seashell. If your baby is a bit older than newborn on his or her first Halloween, then you might want to choose a costume with legs instead of bunting for the bottom portion. There are plenty of boy and girl costumes with tops and bottoms (making diaper changes a breeze) – and some even have built in bibs in case you need to stop trick or treating for a quick feeding! This age also has romper costumes, where the legs are separated, but the total costume is a one-piece suit. 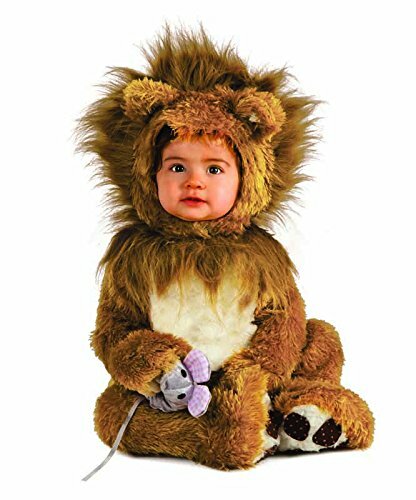 For boys, you might want to look at the Wizard of Oz Scarecrow Romper, or the Lovable Lion. Little girls can wear a Precious Pink Rabbit cozy costume, which is perfect for cold weather climates, or a Princess Leia costume that comes with a baby hat that has her trademark side buns. If you’re having special baby pictures taken for your child’s first Halloween, you might consider getting one of the infant Angel costumes. They sell feathered halos and Angel wings, and that’s all you put on your baby for the cherubic shot. At this age, it’s wise to find costumes that don’t have tight face masks or that require makeup additions. The masks will be pulled off quickly, and makeup can sometimes irritate sensitive baby skin. Nothing is as precious as seeing a little baby dressed up in an animal or bug costume for Halloween night. It’s even a popular saying: “Cute as a bug!” So you’ll want to choose among the wide selection of bug and animal costumes for your little son or daughter this October 31st. Let’s start with the bugs. There are some for boys, some for girls, and some that are unisex in nature, like the caterpillar. Most of the little bug costumes are actually for girls – because they’re dresses with wings, like the butterfly, bumblebee and ladybug. One unisex animal costume in the animal kingdom is a baby bear costume. You can get specific types of bears, like koalas, panda bears, and polar bears. Or, you can opt for a character costume, and dress your baby girl or boy up as a Care Bear! Birds are another unisex animal costume option for Halloween. You can buy owl costumes, peacocks, parrots, ostriches, and more! Two popular baby bird costumes this year will be Penguins for the movie Happy Feet, and Angry Birds costumes based on the popular gaming app. One fun idea is to have the whole family dress up as animal characters from Winnie the Pooh. 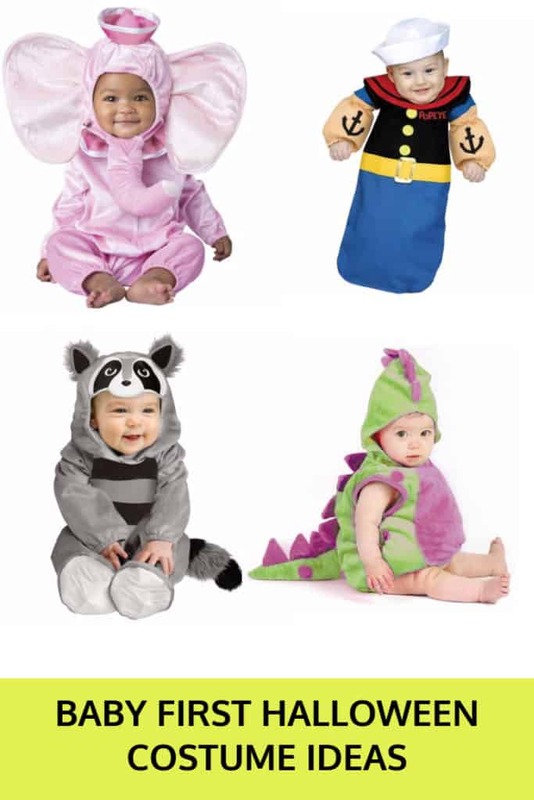 You can find baby costumes for Tigger the Tiger, Kanga or Roo, Eeyore the donkey, Piglet, and even Owl! Of course there’s one for Winnie the Pooh bear, too. There are many regular animal costumes that fit the bill for a fun Halloween night, too. There are many baby lion outfits, sweet cows, and little bunny rabbits. You can find pink pigs, little soft lambs and ducks, and even ferocious crocodiles! Monkeys are a popular animal costume option, and you can find them in normal versions or sock monkey varieties. If your daughter is going to be a kitten, that’s an easy costume to find. But little boys aren’t left out, either. You can buy a Puss in Boots cat costume for him! Puppy dogs are a sweet idea for a baby costume. You can either find regular dog costumes, like a brown puppy or pink poodle, or go with one of the characters that everyone loves such as Snoopy, Scooby Doo, or Clifford the Big Red Dog. Dinosaurs may be extinct, but not in the costume world. They have a ton of choices – from fierce T-Rexes to fun triceratops. And even thought they’re not real, you might find a dragon costume that you like even better than a typical dinosaur! When you consider animal costumes, don’t forget about those creatures living under the sea. Finding Nemo made clownfish and flounder costumes a hot item, but there are also really cute lobster, crab, shrimp and shark outfits, too! There’s nothing cuter than seeing a baby bunting costume on an infant. And there is a huge variety of options for new Moms and Dads to choose from these days. You might want to go with a traditional costume, like a pumpkin bunting outfit or a little witch. Superheroes and characters are popular with older kids, but you might want to consider one of the baby bunting Superhero or character costumes for your little one. They have Spiderman, Hulk, and Captain America for the boys and Snow White, Baby Sweet Pea from Popeye, or a pretty Princess. 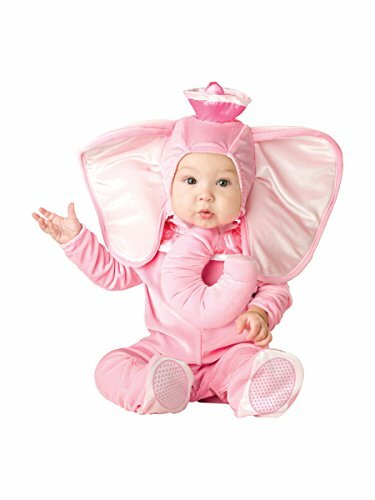 There are some wonderful animal costumes for babies to wear, too. Many are under the sea varieties, like the little baby Sea Horse, unique Mermaid, Baby Shrimp, Great White Baby Shark, or Nemo the Clown Fish. Other baby animal bunting costumes are the winged variety – little baby ladybugs, sweet, colorful butterflies, a little night owl, and precious Bumblebees that don’t sting! You can even find a bunting Angry Birds costume, too! There are some costumes that don’t really fall into any specific category. A baby bunting sunflower costume is a beautiful choice. The bottom part is the stem, where your little one is wrapped up, and the flower wraps around his or her face with gorgeous bright yellow petals. Some other cute choices are a football bunting costume. This is best used with a tiny infant, like a newborn. It comes complete with an infant hat to complete the look. A Crayola crayon is precious, too – and the cap on this one is the tip of the crayon. If you have twins, then you might want to dress them up as ketchup and mustard bottles. The tips of the bottles are for the baby hats. They also have hot dog bunting costumes if you want to make one a hot dog, and the other mustard. Food is one popular choice for baby bunting costumes. Some of the most popular bunting outfits are a pea pod, yellow banana, and a chili pepper. The chili pepper is really cute because the bunting is red and the baby cap is the green stem. Three more cute food bunting costume choices for babies are sweet treats. You can dress your baby up in a candy corn bunting costume, where the cap is the third color in the corn. A Tootsie roll is a cute option, because the hat looks like the end of the candy wrapper all twisted up, waiting for you to unwrap it. But this year’s newest option is a waffle cone bunting costume, where your baby lays in a cone, and their outfit looks like ice cream. The baby cap is the cherry on top. If you have a silly sense of humor (or giggle at the fact that your baby has gas a lot), then you might even consider the baby bunting Whoopie Cushion costume. It wraps around the baby’s face, so the whole thing is round and looks exactly like a Whoopie Cushion. Just make sure no children playfully sit on the baby to see if it works! 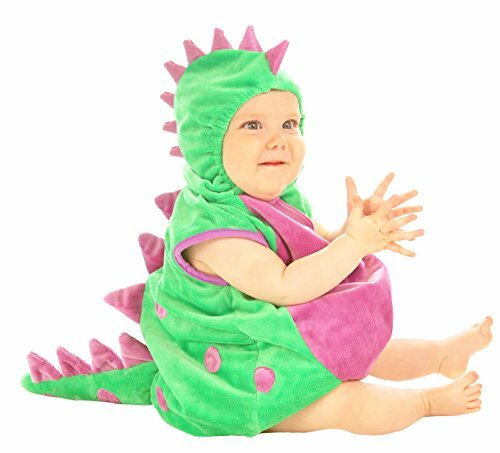 Before your child gets old enough to be into all of the popular trends and fads when it comes to costumes, you might want to select one of the classic baby costumes for them to wear on Halloween night. The most popular one is the baby pumpkin patch costume. These some in many sizes, from newborn bunting to the toddler stage. You can get really cute ad frilly pumpkin costumes with tutus for little girls, or fun and colorful legged costumes for little boys. Baby devil and angel costumes are another popular classic option for baby’s Halloween night. There are cozy one-piece outfits with feet if there’s a Fall chill in the air, or little dresses for girls if the weather’s just right. Some of the costumes even have a half angel, half devil look to them. Halloween wouldn’t be spooky if there weren’t frightening aspects to it – and your baby can be a scary winged bat or an eight-legged spider. These costumes are generally black and purple, with a smidge of orange mixed in. Skeletons and witches are another classic baby Halloween costume option for boys and girls. The skeleton costumes are typically one piece jumpsuits, and some of them have hoods or glow in the dark. The witch costumes are little dresses with hats, and if it’s chilly outside, you can put tights on your daughter so that her little legs don’t get too cold. Some of the witch dresses now light up, too! You might want to take advantage of the trend that’s bringing classic costumes back into popularity for vampires and pirates. Thanks to Hollywood blockbusters like Twilight and Pirates of the Caribbean, these classic costumes are bestsellers again. The little vampire costumes for boys come in plain or fancy materials, usually with a red bow tie and silky cape trailing behind them. You may want to skip the makeup (like a pale face and blood dripping from their mouth) because babies will smudge it and it might irritate their sensitive skin. More classic attire for babies on Halloween includes the animal kingdom. 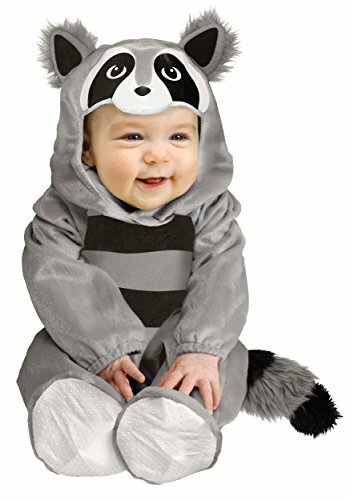 There are so many baby animal costumes to choose from. You have little piglets, lambs, puppies, lion cubs, lobsters, peacocks, and more. There are lots of choices that don’t fit into any category, like a baby golfer (complete with clubs), a baby garden gnome, a little ballerina, baby prisoner costume, or one of the classic scary monsters like Frankenstein. 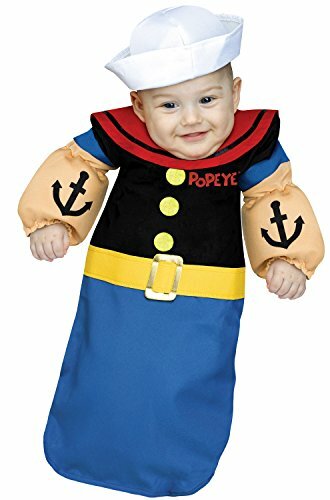 Character costumes for little babies are so cute. They’re scaled down versions of the most popular Superheroes, TV characters and beloved movie icons of years gone by as well as modern blockbusters. Little girls love the storybook costumes, like Cinderella, Snow White or Belle from Beauty and the Beast. They’re cute little dresses perfect for a baby, and come in bunting infant sizes all the way to toddler and older. Little Mermaid’s Ariel is a popular choice because all little girls love the magical premise of being an underwater sea princess. The costumes have bunting sea-green tails, while the older baby costumes allow their feet to move individually. Two more baby girl favorites are Minnie Mouse and Tinkerbell. The Mickey Mouse Playhouse is a popular TV show now, so all the baby girls like to wear the Minnie dress and mouse ears. Peter Pan’s Tinkerbell has her own movies now, too – so her cute fairy outfits for babies are a hot item this Halloween. For the TV crowd, you might want to dress your baby girl up in one of the shows geared to younger ones, like Strawberry Shortcake (or one of her many friends), Smurfette from the Smurfs, Baby Maggie from the Simpsons, or Dora the Explorer. Boys aren’t left out of the TV options, either. If your son like watching Dora, then he might want to dress up as her adventurous cousin Diego. Or, if he’s a fan of Thomas the Train, he can be a conductor – or Thomas himself! There are a few TV shows that work for both genders when it comes to baby costumes. Star Trek is primarily for boys, but they do have some little girl options, too. This would primarily be for parents who are fans, because not many babies are watching (and enjoying) this show. Two character groups that do get thumbs up from kids of all ages are the Muppets and Sesame Street. Your daughter could dress as Miss Piggy and your son as Kermit or Gonzo from the Muppets. Sesame Street has a whole plethora of costume ideas. Your child can be Cookie Monster, Elmo, Abby Cadabby, Big Bird, Grover, Telly Monster, Snuffleupagus, or even Bert and Ernie. For baby boys, try one of the characters from this year’s blockbuster movies – the Avengers. He can be Thor, Iron Man, Captain America or the Hulk. 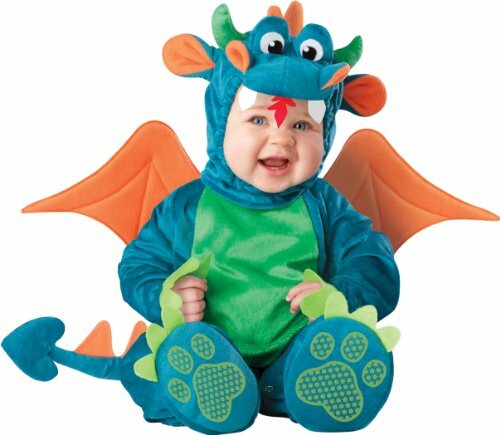 Other popular character costumes for baby boys include Peter Pan, Batman and Superman. If your family is into movies, then Monsters, Inc. and Toy Story offer a ton of options for baby costumes – like the Baby Alien from Toy Story or Mike Wazowski from Monsters, Inc., whose costume has a candy pouch so your little one doesn’t have to carry a separate bag.